Clubbing and coffee are the new way to rave as party people swap late night dance for an early morning session. Morning Gloryville, dreamt up in 2013 by Sam Moyo, is a dance party, starting at 6.30am. Their aim is to bring 'inspirational, energising music and mesmerising visual entertainment' in what they call a sober clubbing experience. On July 12th the hugely popular morning rave will be staging an event at Brixton Rooftop after their successful fourth birthday party there the previous month. Party goers can expect revitalising morning massages, barefoot dancing in the sand and electrifying musical performances at this truly unique exercise party. 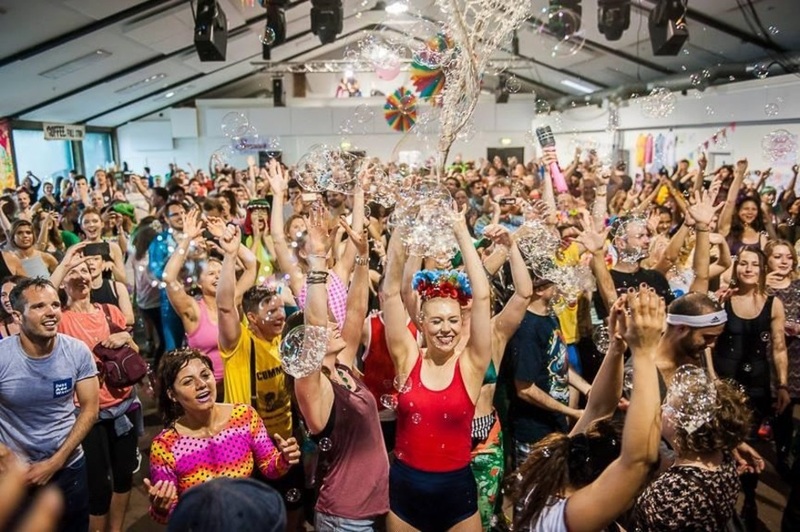 What are the best dining options near Morning Gloryville London? Morning Gloryville gyms, sporting activities, health & beauty and fitness. The best pubs near London Morning Gloryville. Morning Gloryville clubs, bars, cabaret nights, casinos and interesting nightlife. Where to have your meeting, conference, exhibition, private dining or training course near Morning Gloryville. From cheap budget accommodation to luxury 5 star hotels see our special offers for Brixton Beach hotels, including Holiday Inn Express London- Vauxhall Nine Elms from 71% off.